Operates 10 thru 17 Meters with Tuner. Covers far above and below the traditional C.B. 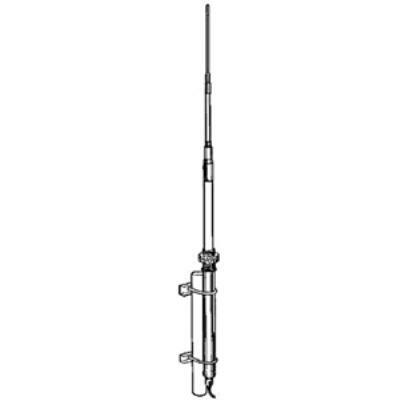 channels for export, commercial and 10 meter ham band use, input 2000 watts P.E.P. Lightning protected, D.C. grounded. No lightning arrestor or static discharge unit is needed!